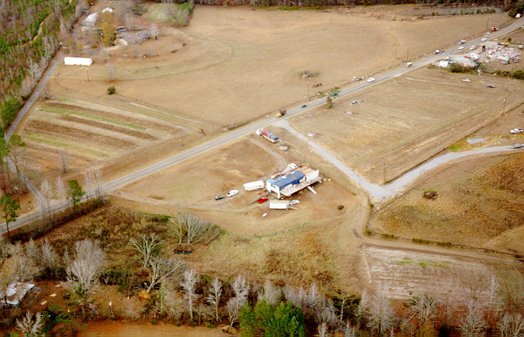 These aerial photographs are of the Dalewood area, near the end of the storm. 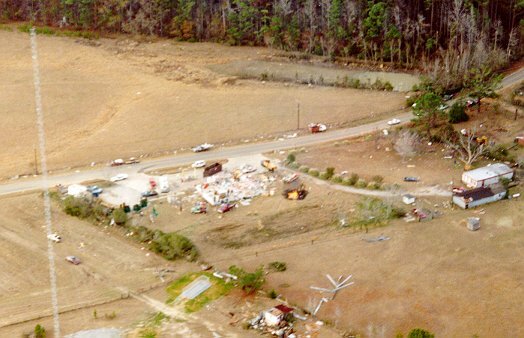 The house in the lower-left corner was barely missed by the tornado, but the house in the center unfortunately lost most of its roof. 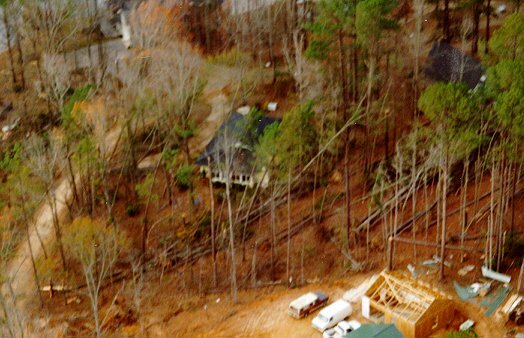 The camper just to the left of the house had originally been where the red pickup is before the storm. In the northeast corner is Bolen's Store. Another view of Bolen's Store. 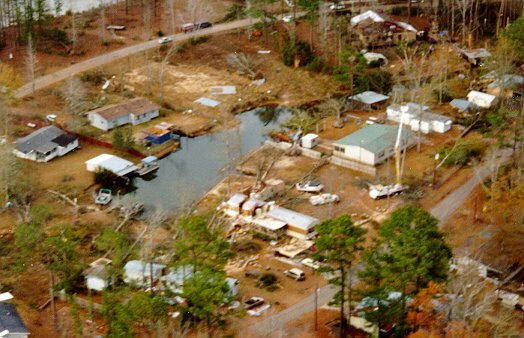 Damage in the Dalewood area. Damage on the point jutting from the south shore of Dalewood Lake. This was near the end of the tornado.